The last decade has seen an explosion of research into the chemical and physical properties of a promising new class of carbon-based materials known as fullerenes. KARL M. KADISH is Professor of Chemistry at the University of Houston, Texas. Electrochemistry of Fullerenes (L. Echegoyen, et al.). Solubility of the Fullerenes (M. Korobov & A. Smith). Organic Chemistry of Fullerenes (S. Wilson, et al.). Structural Inorganic Chemistry of Fullerenes and Fullerene-Like Compounds (A. Balch). Photophysical Properties of Pristine Fullerenes, Functionalized Fullerenes, and Fullerene-Containing Donor-Bridge Acceptor Systems (D. Guldi & P. Kamat). Calculations of Higher Fullerenes and Quasi-Fullerenes (Z. Slanina, et al.). Polymer Derivatives of Fullerenes (L. Chiang & L. Wang). Endohedral Metallofullerenes: Production, Separation, and Structural Properties (H. Shinohara). Endohedral Metallofullerenes: Theory, Electrochemistry, and Chemical Reactions (S. Nagase, et al.). 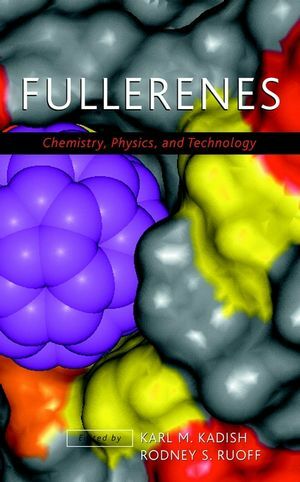 Biological Aspects of Fullerenes (S. Wilson). Carboxyfullerenes as Neuroprotective Antioxidants (L. Dugan, et al.). Fullerenes and Fullerene Ions in the Gas Phase (D. Bohme, et al.). Structures of Fullerene-Based Solids ( K. Prassides & S. Margadonna). Fullerenes Under High Pressure (B. Sundqvist). Superconductivity in Fullerenes (V. Buntar). Boron Nitride-Containing Nanotubes (N. Chopra & A. Zettl). Synthesis and Characterization of Materials Incorporated within Carbon Nanotubes (J. Sloan & M. Green). Synthesis, Structure, and Properties of Carbon Encapsulated Metal Nanoparticles (M. McHenry & S. Subramoney). Molecular and Solid C_36 (J. Grossman, et al. ).